In a major archaeological discovery, researchers in northeastern Jordan have found the charred remains of what appears to the world’s oldest bread. Baked by hunter-gatherers more than 14,000 years ago, it is the earliest concrete evidence of bread making and predates the advent of agriculture by at least 4,000 years. Published recently in the Proceedings of the National Academy of Sciences journal, the discovery was made by a joint team of researchers from the University of Copenhagen, University College London and the University of Cambridge. 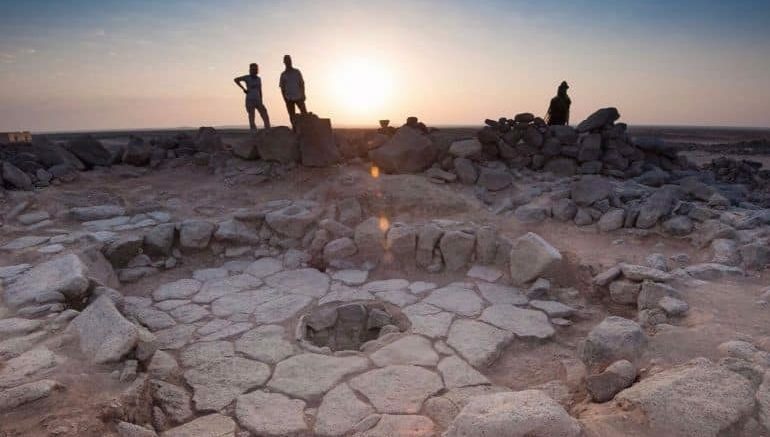 The prehistoric flatbread was among the charred food remains found at a 14,400-year-old Natufian hunter-gatherer site called Shubayqa 1, situated in Jordan’s Black Desert. While it is believed that agriculture developed at different times in different regions of the world, the transition from hunting and gathering to one based on agriculture and settlement took place some 10,000 years ago. This coincided with the cultivation of the eight Neolithic founder crops – namely emmer wheat, einkorn wheat, hulled barley, peas, lentils, bitter vetch, chickpeas, and flax – in the Levant. The presence of hundreds of charred food remains in the fireplaces from Shubayqa 1 is an exceptional find, and it has given us the chance to characterize 14,000 -year-old food practices. The 24 remains analysed in this study show that wild ancestors of domesticated cereals such as barley, einkorn, and oat had been ground, sieved and kneaded prior to cooking. The remains are very similar to unleavened flatbreads identified at several Neolithic and Roman sites in Europe and Turkey. So we now know that bread-like products were produced long before the development of farming. The next step is to evaluate if the production and consumption of bread influenced the emergence of plant cultivation and domestication at all. Situated in the northeastern part of Jordan, Shubayqa 1 was originally discovered in the 1990s by British archaeologist Alison Betts. 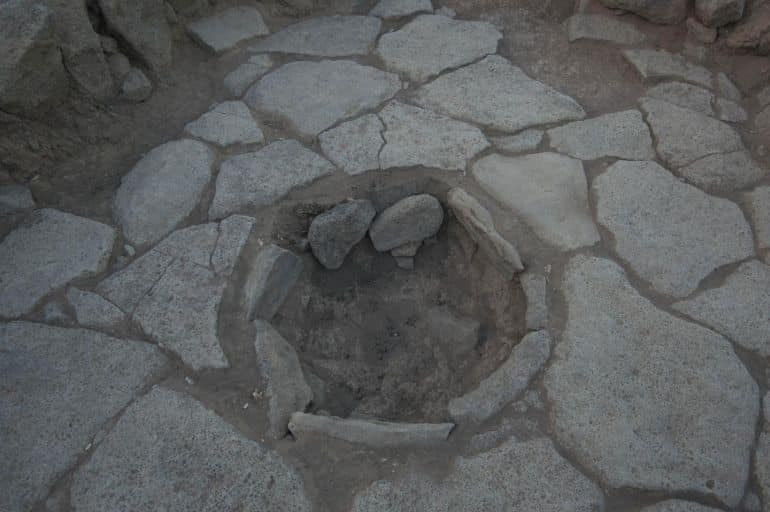 The prehistoric site houses two relatively well-preserved buildings, each of which has a large circular stone fireplace. Bread involves labor intensive processing which includes dehusking, grinding of cereals and kneading and baking. That it was produced before farming methods suggests it was seen as special, and the desire to make more of this special food probably contributed to the decision to begin to cultivate cereals. All of this relies on new methodological developments that allow us to identify the remains of bread from very small charred fragments using high magnification. The identification of ‘bread’ or other cereal-based products in archaeology is not straightforward. There has been a tendency to simplify classification without really testing it against an identification criteria. We have established a new criteria to identify flat bread, dough and porridge like products in the archaeological record. Natufian hunter-gatherers are of particular interest to us because they lived through a transitional period when people became more sedentary and their diet began to change. Flint sickle blades as well as ground stone tools found at Natufian sites in the Levant have long led archaeologists to suspect that people had begun to exploit plants in a different and perhaps more effective way. But the flat bread found at Shubayqa 1 is the earliest evidence of bread making recovered so far, and it shows that baking was invented before we had plant cultivation. Recently, the University of Copenhagen received a fresh grant to continue research on Neolithic food making and agricultural practices. At the same time, the archaeobotany team from UCL is focussed on finding and recovering the earliest bread and other food remains from Neolithic sites across Turkey and Iraq.